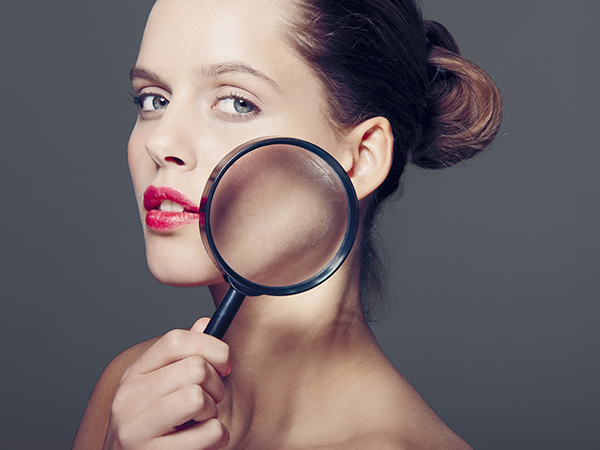 There are many reasons you should visit your dermatologist regularly: They can scan for skin lesions or potential cancers, check out moles, and help you develop a skin care regimen for your own specific complexion needs. However, they also know to look out for things we’d never even consider that can actually be indicative of more serious underlying health problems. If you notice any of these visible symptoms, a doctor’s appointment may be a very, very good idea. The yellowing of the whites of the eyes, a condition known as scleral icterus, can indicate liver damage, says dermatologist Dr. Soheil Simzar of Ava MD. High-sodium foods and a diet rich in salt can promote water retention throughout the body, including the under-eye area, says Dr. Roshini Raj, a celebrity doctor and founder of TULA. Chronic allergies may also show up on the sensitive skin under your eyes—they dilate blood vessels and can cause them to leak, which creates puffiness and dark purple-blue hue. If certain parts of your skin, such as your shins or your gums turn blue, you may be having a reaction to a medication, says Dr. Simzar. However, if your skin turns a bluish gray, this may indicate chronic ingestion of lead products. Sun exposure isn’t the only cause of hyperpigmentation: Thick, velvety brownish gray patches on the skin, especially around the neck, armpit or groin, could also be an early sign of diabetes, says Dr. Raj. This means a lack of oxygen to the blood, says Kim Laudati of Kim Laudati Skin Care. This can mean emphysema or even predicate a possible heart attack. It can also indicate COPD, pulmonary tuberculosis, pneumonia, and some cancers. A lesser known reason for gray skin can be peritonitis, an inflammation of a thin layer of tissue inside the abdomen which is caused by bacteria or fungus. If your skin becomes dry and your hair and nails become brittle, this could potentially point to a thyroid problem, says Dr. Simzar. Skin should always appear smooth, with no rashes, swelling or scales. Especially dry skin may be due to a lack of sufficient vitamin A, essential fatty acids like omega-3s, or zinc, says Tori Holthaus, MS, RDN, LD of YES! Nutrition, LLC, a registered dietician and nutritionist. Skin that is especially sensitive to sun exposure can be a sign of lupus erythematosus, an autoimmune disease, says Dina D. Strachan, MD, a board-certified dermatologist at Aglow Dermatology. This kind of rash, known as dermatitis herpetiformis, can be a sign of celiac disease, a digestive disorder that occurs in reaction to gluten, says Dr. Raj. Lesions can appear anywhere, but occur most often around the knees, elbows, scalp, back and buttocks, and may be preceded by an intense burning sensation. If your skin turns orange, you may be over-consuming carrots or other vegetables rich in carotene, says Dr. Simzar. If you skin turns bronze, this may indicate a hereditary disorder called hemochromatosis, says Dr. Simzar. Unwanted hair in women, predominantly along the jawline, chin, and upper lip, can be a symptom of polycystic ovary syndrome, a hormone imbalance in which male hormone levels are elevated, says Dr. Raj. Dry cracks around the mouth may indicate a deficiency of B-vitamins like niacin, riboflavin, and vitamin B6. You can find niacin in canned wild tuna, riboflavin in spinach, and B6 in chickpeas, says Holthaus. Read more: Do Hair and Skin Vitamins Really Work?